STILL CRAZY: It says something about where, when and how we live that what was once variously referred to as hooch, bathtub booze,white lightning or just plain moonshine is now the object of a tasting. 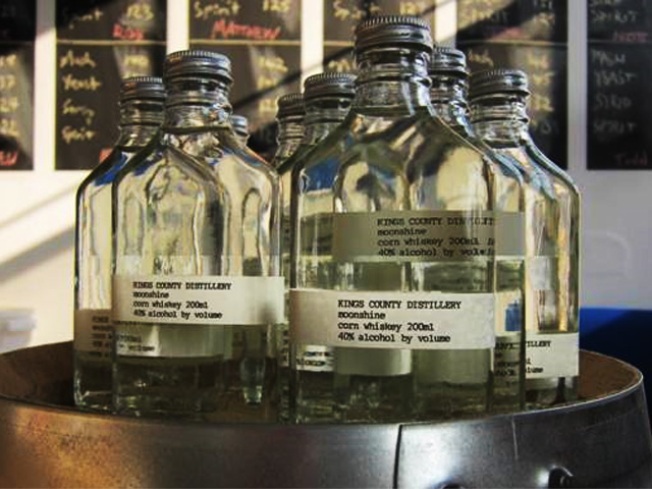 Still, we’re not going to turn town the chance to sup White Dog, an unaged whiskey fermented from corn and barley by NYC’s oldest (and only remaining) whiskey maker, the Kings County Distillery.Artisanal locavore liquor, anyone? Heights Chateau (Brooklyn Heights), 5:30PM. TO UN-DIE FOR: Long before zombies were everywhere—moonlighting in Michael Jackson videos, inspiring bestselling "survival guides," prompting citywide bar crawls—they were in George Romero’s low-budget masterpiece Night of the Living Dead (1968), moaning and jilting across the lawn, coming for you. And goddamn, was it creepy. Relive the magic that started it all at the Landmark Sunshine’s midnight screening Friday and Saturday. 12AM. AURAL PLESAURE: L.A.-based public radio show The Sound of Young America Live—an irreverent mix that calls itself the "anti-Prairie Home Companion”—is back at the Greene Space. On the bill: Amy Sedaris, John Hodgman, 30 Rock’s Judah Friedlander (our favorite hat of his: “Alabama Legsweep”), and Onion editor Baratunde Thurston; plus Brooklynites Les Savy Fav will come by and rock out in-between the funny. 7PM.